Avro Energy is a new energy supplier aiming to provide consumers with low-priced energy with simple tariffs and billing. The company uses a UK-based customer service team. Cannot get through on phone have waited hours and days have tried email cannot get through. My password is wrong when i ask to reset i press forgotten password you say will come up on email never happens iam new customer cannot give my meter readings to you. What is the best electricity tariff from Avro Energy? I only have electricity in my home. What tariffs might be available for me. I have storage heaters. The price depends on your region (e.g. Southern Scotland is different to Northern Scotland). You can choose a tariff with no standing charge, or one with a standing charge and lower costs per unit. The Economy 7 rates seem to be the same as the day rates currently. Worst supplier I have ever had the misfortune to use!!! 1 Star is 1 too many!!! My wife and I decided to switch to Avro Energy based upon their low monthly promise despite our high usage (4 bedroom detached family home). The switching process was fine and the monthly Direct Debits went out with no problem leading us to believe we had made a good decision. However, when we reached the end of our contracted years policy we were handed a bill for outstanding usage for over £1,000. We then upped our monthly DD to almost £300 to cover the usage basis their increased charges and our now £1,000 outstanding! We are now trying to leave and switch to another provider and they have quoted us a figure out of the air and telling us we must pay this before they will allow the switch. I will be reporting them to the ombudsman should they persist. Nightmare company with awful customer service on phone and email! I have been with Avro for a few months now and all appeared good, I thought id look a little more closely at my monthly statements and although I photograph and record my meter readings on their website, they use their estimated readings to produce my bills and have done since the beginning! Its hard work getting through to anyone to discuss this and this will be my first winter with them having only built up a small credit which over the years should have been a lot higher than this going into winter, I'm a bit miffed to be honest, why bother taking the time to record and deliver readings only to be charged for estimates, Ive even had a couple of chaps turn up to read the meters and I am still being charged estimates! As I'm typing this a nice lady explained it to me. You must make sure you enter your meter readings on the day your bill is produced, not before or after! Otherwise your usage from the day earlier or later than your bill due date with be estimated thus giving you a higher or in some cases lower then actually used estimate. So just send your readings on the day your bill is produced, if you cant always do that when eventually you do your bill will be adjusted accordingly. I switched to AVRO in April 2018 from Scottish Power as they were about £400 p.a. cheaper for dual Gas & Electricity. The switch went smoothly. I submit my meter readings on the due date each month and I have found their statements clear and easy to understand and accurate. So far their service has been perfect although I play my part in submitting monthly readings and checking my statements closely. I took over an account from my tenant. I eventually sold the property and tried to ring Avro to give them meter readings. They were shut on the Friday so I emailed them and followed up with calls on Monday and Tuesday spending hours trying to get through to them. They would not accept my meter readings for this empty property as they said they were too low. Tried to charge me £800 on 'estimated' readings. Didn't have my details ie name, address or phone numbers which I readily gave. Sent them photos of the meter readings and they charged me £243. Asked to speak to a supervisor and was cut off. Supervisor rang me back, told me they'd been calling and emailing me for a year to do meter readings (they'd already said they didn't have my details to do this), basically called me a liar when I said I'd had no contact at all from them and refused to any compromise, but threatened me with debt collectors. I said I'd pay, but give them terrible reviews and the reply was ' you've got to do what you've got to do and we've got to do what we've got to do'. Awful, awful company. I emailed their CEO Jake Brown and, so far, have had no reply. Do not go with this company...... you give readings and they use higher estimates to produce your bill instead. They demand payments on day bill is issued and harass you continuously even though they have used a higher estimate to produce your bill when only days before had the actual readings which also shows on your bill. Trying to get away from them and switch is like trying to get a lock jaw dog off your leg. It's insane. They are not helpful and they offer no help or solutions to people dealing with bereavements or problems. Your alright if you keep quiet and don't read your bills. This people go all out to rip people off!!! Avro are literally the worst enegery supplier I have ever encounter. After switching without my consent and making it impossible to move back to my original supplier I had to wait a full year of terrible customer service to attempt to switch away from them. And they have blocked my switch despite me havoing paid the balance of my account. The website is outdated and offers non of the service provided by decent suppliers. If you are considering switching to Avro, please think again they are dreadful. Avoid this company at all cost. I switched to Avro after them offering me a much more competitive rare. I entered my meter reading every month as requested and was told I was in credit every month on my statement. However after a year of being with Avro, I decided to ring up to renew my yearly energy. Whilst on this call they informed me that there had been an error with all of my meter readings and instead of contacting me to query this they decided to estimate it instead. ( this had been going on for 11 months). This has now lead to me having a 250 pound bill. Avro's complaint team has been horrific with very little help or attempts to help resolve an error. The staff from the compliant department were very rude. In my opinion don't use them, worse company we have ever used. Like others on here I fell that Avro Energy are holding us to ransom. They attracted us with low rates then use every trick (and intimidation tactics) to prevent us from switching away. Do not use them, that is all I can say! Been with AVRO for 12 months. No issue with original switch from previous supplier. Today I renewed on a new and cheaper fixed term tariff. Web site is straightforward and easy. E-mail communication is very good. Phone queues could be about shorter, but nothing unusual. Avro are holding us to ransom DO NOT USE! - they are very small and don’t know the law. They are blocking us from changing suppliers away from them in our property having just moved in. They say since the previous tenants didn’t pay the bill they are applying for a warrant to cut off the supply to the house - it’s not our debt! They can’t even give us a bill with the debt on and it’s in someone else’s name! We have small children - they don’t care! Anyway we’ve taken legal advice and raised to the ombudsman just for others considering Avro - please don’t! Cheap doesn’t always mean good! Until they let us switch away I will make sure everyone knows what they are like! Avro Energy lull you into what looks like a good deal then hikes prices by 30%, render additional bills which seem to come from Wonderland then threaten to disconnect you as a first resort of you don't pay their extortionate fees. They also can't justify their estimated bills. Do not use this company if you value your sanity. I changed to avro August 2017 from BG due to their intended price hike and have had nothing but bad service from them. Emails to them from weeks ago are still not answered, phone calls followed but thirty minutes plus waiting times were experienced. Most recently first meter readings have been requested by avro via email, through my own fault i forgot login details so requested a login reset via the shortcut on their website four days ago, still nothing received!!!! Inevitably i am now going to get an estimated bill. In conclusion they may be cheaper than BG but their customer service is woeful. I have no intention of returning to BG but will be changing shortly for the second time in 30 years to a supplier who actually communicates with their customers. Recently switched from British Gas and now have a fault with my meter resulting in no gas to our home. Tried to report by phone on Friday at 4.35 and received recorded message that they close from 4.30 on a Friday through to Monday morning. Attempted email and Twitter both without success. Not much of a service if you close at weekends. After switching away from Avro 6 weeks ago because their new quote was very high I am still trying to get back about 350.00 which they owe me in credit. 154.00 of this was wrongly taken from my bank account weeks after I had switched to another company. When I contact them they just tell me a pack of lies and if by email it takes about a week before they reply. Going through a switch to AVRO at the moment and starting to wish I hadn't, they still haven't provided my previous supplier with meter readings and have started taking payments every month and guess what my old energy provider is still charging me also so I'm paying double. Have tried contacting Avro on phone and waiting 25 minutes and gave up waiting. Sent 4 emails over the past week and not a single response from them. Not off to a good start...... be warned!!!!! Switched supplier away from Avro. - don't answer the 'phone,11 minute queue recently & 13 minute queue today. Admin hopeless & appear to have 'lost' money I've paid to them. I wont be returning to Avro. Told Avro they'd better find the payment I've made or I'll be contacting the Ombudsman. I agree, similar problem to me, they owe me about 350.00 and are doing their best to hold on to it. Been with them for a year with no problems. Have now renewed at a very competitive price. Communications are clear and website is also good. Seems i am in the majority who find Avro very good. I switched over to Avro at the start of February and although DD was taken in advance which i was not aware of everything looked promising. I supplied all required meter readings etc on time, however 44 days later my previous supplier cannot provide me with a final bill due to Avro not agreeing on final meter readings with them - well to be more precise they have agreed on the gas and just not bothered to respond to the electricity one! They have tried to blame Npower on the delay saying they have not received neccessary information on my electricity meter etc, but I have spoken to Npower and this is not the case as all info requested has been provided. I have been promised a call back by the end of the week... not holding my breath.... if they dont call me by friday afternoon I guess I will be phoning them back again and probably going to be stuck in a phone queue for another 40mins! Wishing I had not switched to Avro now... if i had used someone else I would have had my final bill and money refunded by now! FUMING!!!!! Don't bet on getting better service elsewhere. None of these energy suppliers run out of a shed have a clue about administration. (Sorry to burst your bubble.) Two out of my last three suppliers (I change every year) have been complete numpties. And I had to read the riot act to the last one (difficult, as none of these companies ever provide a reasonable way to contact them - emails and phones are never answered). I accept that if I don't pay top whack for energy (my income is very small) I will pay with time wasted and stress endured. I honestly do not recognise anything familiar in all these complaints about Avro. My switch last year was painless and efficient (although,come to think of it there was some slight delay over electricity meter readings). I have saved considerably on my bills , so much so my account is now in credit which is fine as we are now entering the winter period when usage will be much higher.For almost all of the time they have been prompt and answered any queries ok.I don't use the phone,doing everything online and by e-mail so don't know what the telephone service is like. On my experience I would recommend them as a supplier. Have been with them for a year now. I must admit as a new company I was a slightly concerned, but, I have no complaints at all. Excellent utility company, best I have switched to over the years. I am still paying the same price they quoted 12 months ago when I started. Definitely recommend. I have been with avro for 1year. I am now moving to the simple and spring tarrif. I have found customer serice brilliant. I got quoted for one tarrif and they got in touch saying they found a new cheaper one. As a pensioner I have to watch the pennies. Thank you Avro. I know I can take a chance with a new company but I'm happy with this one. We have been with Avro, for around 12 months and have found their service intolerable. During this time, we have consistently received false bills based on estimated readings, despite our having provided readings to them. The final straw came as they wanted to increase our �70 direct debit to nearer �130 per month and we decided to switch suppliers. We have just been notified by our new provider that Avro have objected to our switching, which means we now have to plead with Avro to let us go?? This is a genuine user review of Avro Energy. Please don't fall for their marginally lower prices, the hassle we have received from them is really not worth it. I have had problems as well. Totally agree they made it as difficult as possible for us to switch, which I thought was not allowed anymore it's taken nearly 4 months to get sorted. They are a joke. Switched to Avro April 2016. I knew my usage and did a reasonable amount of research and was concerned that something might not work as promised when the savings were around 30%. 10 months in to my contract and everything works perfectly. My estimates have worked out exactly (in fact I'm a little under). Was pleased when they moved to monthly billing as I like to monitor my use. Unless someone else is offering a rediculously low tariff on the anniversary of my contract I will be sticking with Avro. I reckon even with recent price increases I can keep my direct debit the same next year as my usage was favourable this year. I was always a little wary that such low prices might mean a risk but would recommend to anyone. Like the chap below I keep updating as I change lightbulgs and appliances as and when and have cut my total energy costs from a peak with British Gas a few years ago of �1,600 a year to �600 a year now! I have been with Avro since last may and very happy with the service, they have just put up the prices but so have all the others. They always reply to emails quickley and are very good if you telephone. Keep it up Avro I am impressed. After receiving my yearly statement from EDF i was shocked to see how much i was spending on gas and electricty i was paying over �160 a month by derict debit the majority of my useage was electricty. I decided to shop around online through various comparision sites to find a better deal AVRO Energy came out as the cheapest with fair to good reviews so i decided to give them a go. They came back with a saving of �40 a month compared to what i had been paying with EDF thats a saving of nearly �500 a year. The switch over was no hassle just provide them with meter readings on the requested day and everything is done by them. The only downside is you pay for your energy a month in advance by direct debit but i asked myself does that really matter if i pay a month in advance if im going to use the energy anyway? Seeing as i had a �40 a month saving on my bills i decided to change my light bulbs to LED bulbs over the course of three months, after a little research i discoved that the average household uses more energy on lighting than anything else and LED bulbs use 85% less energy than standard bulbs. Now after changing over to LED bulbs my energy useage as dropped and i am saving another �35 to �40 a month. I estimate i have cut my energy bills in total by switching supplier and changing over to LED bulbs by 50% around �800 a year. WIN WIN WIN what are you waiting for. 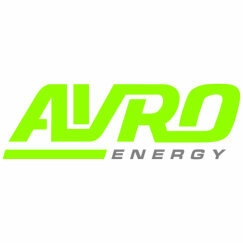 Been with Avro Energy about 6 months now - the switch over was painless and very easy. I've had absolutely no problems with their supply or billing - saving a tidy sum each month as well. Changed to avro back in april, and so far all going well, well worth the gamble to go with them, after all what you got to lose. Signed up to Avro in April 2016 because of the savings - �25 less per month than my previous supplier. The whole sign up process was easy and painless although you do have to fork out the first payment in advance at sign-up. I had to email them a couple of times with queries and both times received a fast email response. On my experience to date (now four months with them) I have no option but to give five stars. Reading all the reviews, and everyone is so quick to attack the company for things they make extremely clear. they send you an email explaining your payment dates and start dates on the day you want to switch, if you don�t read this then that's your own fault. i always read everything when i sign up. it is clear the payment comes out 21 days after signing up, i even phoned to ask why and was happy with the response I was given so carried on the switch. Besides they are saving me money anyway. it is clear when i go live, it was in the email attachment. on the actual last page of signing up it even told me my account number and that they will email me shortly and it stated if i don�t receive an email to contact them. it�s funny how people are saying they hear nothing from them, but they clearly say if this is so please contact us. the company is saving me a lot of money so the last thing i am going to do is complain. I�ve had a few queries with them but each time had my queries answered straight away, and even my phone calls were answered promptly. so i am very happy with their service and i will spread the word! will most defiantly be staying with them. Tiffany you say the company makes everything extremely clear, so what were your queries. My switch over to Avro has taken 3 weeks so far is still not complete and to make things worse, Avro have taken �70.00 from my bank account even though I have not used any energy with them yet. Steve it is now Jan 2017 what are your feelings about Avro.